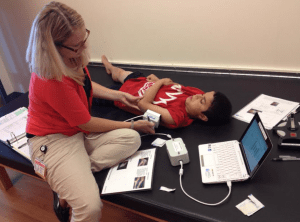 Harvard doctor and scientist Seward Rutkove recently published new data about Electrical Impedance Myography, a non-invasive outcome measure for Duchenne muscular dystrophy and other muscle diseases. Charley’s Fund has supported Dr. Rutkove’s research and in November convened a workshop where experts discussed how to move EIM forward as a reliable, cost-efficient method to test whether an experimental treatment is working. We sat down with Dr. Rutkove for a quick Q+A on what’s new in this data and what’s next for his research. Q: Just to get everyone on the same page, what’s exciting to you about EIM in DMD? Well, the nicest thing about EIM is that it is really simple and painless to apply. You simply put a small electrode pad over a muscle of interest and obtain data. It can be done in clinic, in physical therapy, or even at home. The boy undergoing the study doesn’t feel anything and the person doing the measurement doesn’t need a lot of training. And then of course, the data has to actually mean something. Our results in the paper we recently published support that indeed it does—we can see big differences over time in the muscles of boys with DMD compared to boys who don’t have the disease. Q: What’s notable about the findings communicated in this latest paper? I think the most exciting thing in the paper is that we are able to show that EIM can detect evidence of disease progression in relatively short periods of time. Since EIM is simple and easy to apply, it can potentially be used in clinical trials to detect a treatment effect more quickly and easily than measures such as the six-minute walk test. Another really exciting aspect of the study was that we were able to detect a treatment effect in the boys who started corticosteroids during the study. So we know that EIM has the potential to let us know whether a drug is working. Q: You recently partnered with Charley’s Fund to host a workshop focused on identifying what’s next to advance EIM. What’s your perspective on the outcomes of that meeting and what next steps are under discussion? 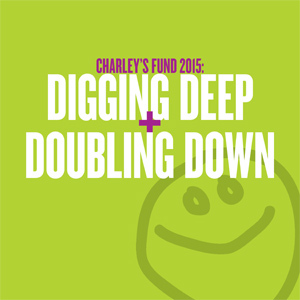 I really appreciate the time and effort the people at Charley’s Fund took to put it together. I thought the meeting was very helpful in several respects. First, it supported that people were excited about the technology and thought it had considerable promise for its use in DMD. Second, the participants brought up a variety of important questions and concerns that I still think we need work on addressing. For example, what specific EIM measures will be used and what do the changes in EIM data actually reflect? These are tough questions that I think will take time to answer, but we are working on them to some extent in my laboratory where we are studying EIM in DMD animal models. But overall, I think the outcome of the meeting was that there is much promise, but that we need to keep working on refining the application of EIM to DMD. Q: Whenever we hear about something that has the chance to speed up research and make clinical trials easier for boys with Duchenne, naturally an immediate reaction is ‘I’m in! Where do I sign up? !’ What is important to know about what happens from here to make this something that can be used widely to conduct research and get new treatments tested and approved? As the developer and true enthusiast of the technology, I am excited about the results. However, that excitement needs to be tempered by the reality that good science—and ultimately a successful therapy or reliable outcome measure—takes a lot of work. It takes coordinated effort and determination to move the technology forward. As it continues to improve and gets used in more and more studies, I think it will start to play a bigger role in the testing and approval of new treatments. Most importantly, it will be important to collect data on patients who are on effective therapies to see if we can not only detect deterioration with disease progression but also stabilization and possibly improvement.